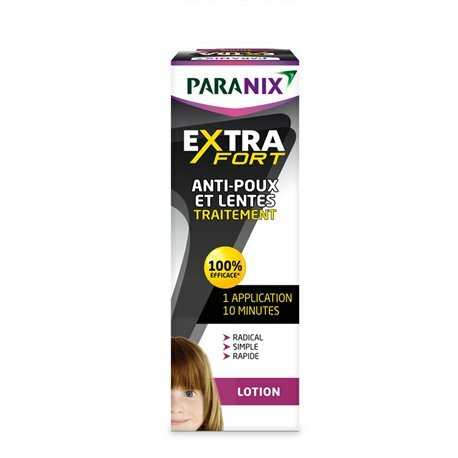 Paranix Extra Strong Anti-Lice and Nits Treatment Lotion 100ml is indicated in the treatment of lice and nits , to eliminate 100% lice, larvae, nits in a single application of 10 minutes. Without insecticide , this lotion is suitable for everyone from the age of 6 months. Dermatologically tested, its double action Lyclol-based formula works at all stages of the development of lice and eliminates the larvae, nits and adult lice. Its easy-to-apply formula is colorless and odorless , simply and easily rids lice and nits . Comb your child's hair dry with the comb provided. Check for any presence at the root level of lice or nits hair. Also check the area of ​​your child's neck and the area behind the ears. Clean the comb in warm, soapy water to prevent re-infestation of lice . Place a towel over the child's shoulders and apply enough Paranix extra strong Anti-Lice and Nits Lotion evenly on dry hair with a strong emphasis on the neck and the area behind the ears. Ensure that all hair and scalp are impregnated. Massage well from roots to ends. Allow the Paranix Lotion to work for 10 to 15 minutes. This exposure time is necessary to guarantee the success of the treatment. Then wash the hair with a normal shampoo, and comb the wet hair with the provided lice comb to remove dead lice and nits. 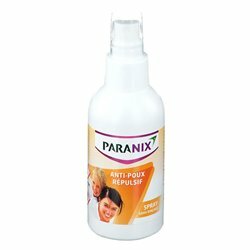 Comment on the advice of use and dosage of Paranix extra strong Lice Anti-Lice and Nits with our partner Avis checked after your purchase. This product should not be used in children under 6 months of age. External use only. Do not swallow. Avoid contact with eyes or mucous membranes (mouth, nose). Do not use in case of allergy to silicone derivatives. 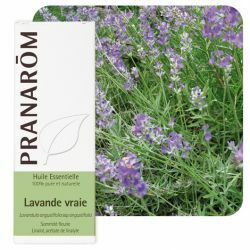 Available in 100ml or 200ml bottle at an economical price for family use. The bottle is equipped with an easy-to-use applicator + a comb, in a cardboard box. 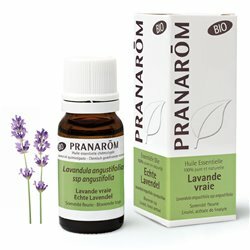 It not only suffocates lice and nits but also dehydrates them. The formula spreads in the nits to stop their development. Lice can not become resistant to Paranix because its mode of action is mechanical and not chemical. 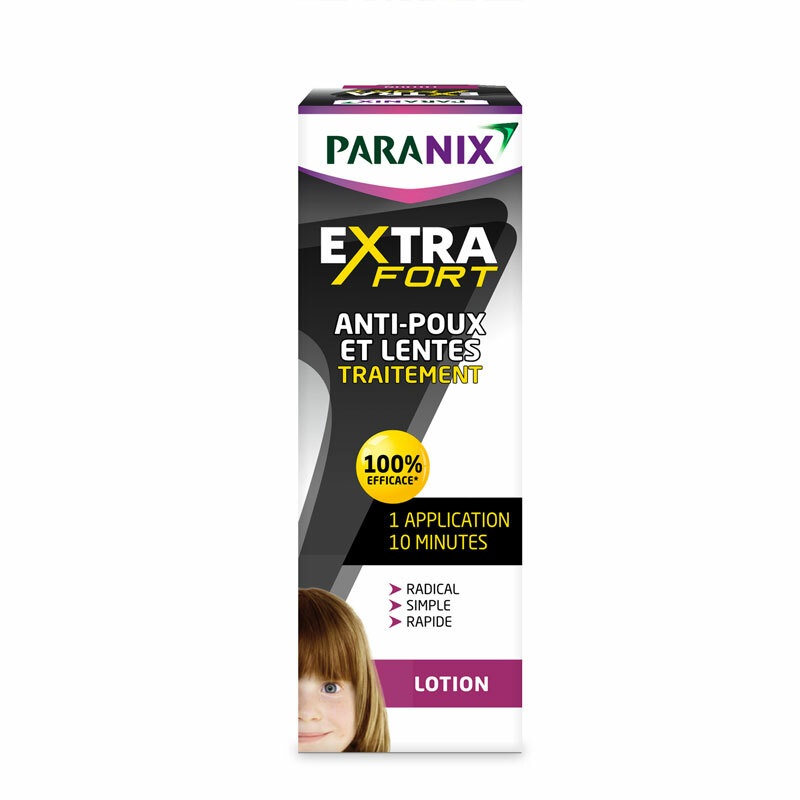 Without insecticide, perfume, essential oil and alcohol, Paranix extra strong Anti-Lice and Nits Lotion With Comb is a gentle treatment for skin and hair. Non-greasy formula, it is easy to rinse. Get all pharmaceuticals laboratory Omega Pharma Care and nature, your bio pharmacy online! This small parasite widespread and well known to parents of young children (5 to 11 years) has appeared again more than 20 years ago, and is increasingly resistant to treatment. Haunted by parents and teachers, lice usually reappear at the start of school. Do not panic, the key is to react quickly. Lice may be a headache, but effective solutions exist to get rid of them . 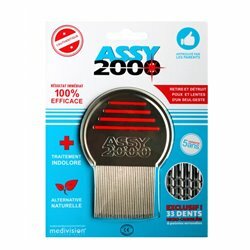 Find the best brands of anti-lice products! 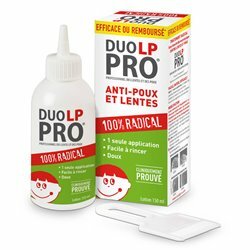 ANTI LICE COOPER , POUXIT , PARANIX , LP PRO DUO , APAISYL , ... Lotions, sprays, shampoos, repellents.